In the Navigation pane, click the Admin tab. 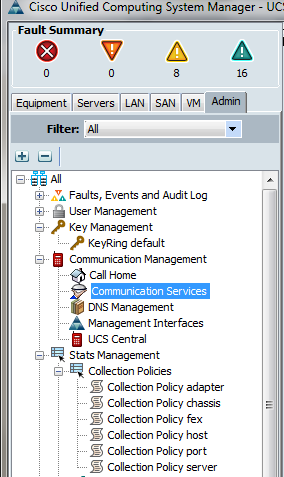 On the Admin tab, expand All > Communication Management > Communication Services. 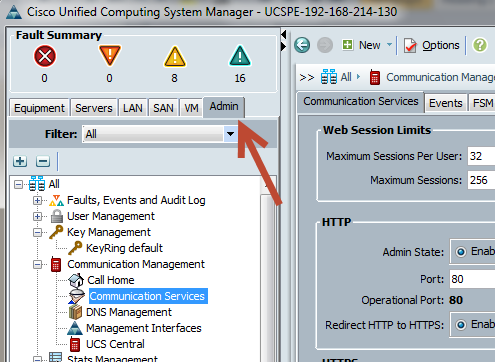 Select the Communication Services tab. 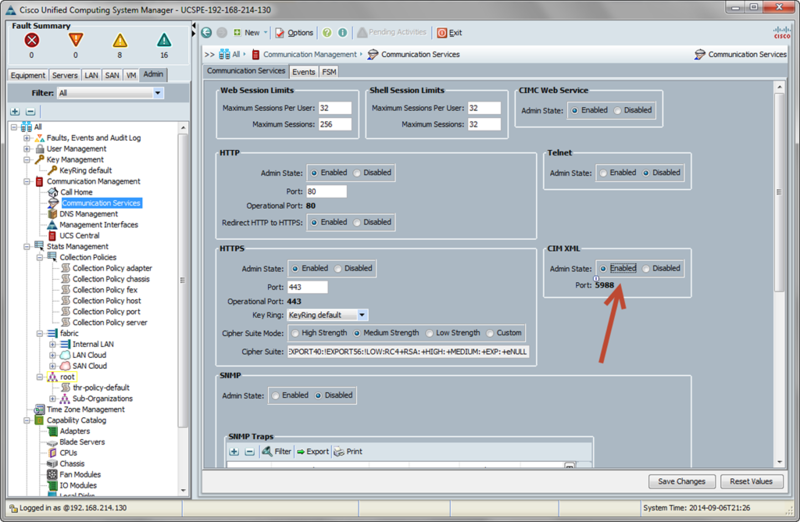 In the CIM-XML area, click the Enabled radio button. The CIM-XML area expands to display the default Port number, 5988. You cannot change this port number.